We had the great honour of hosting a conference for Prof. Poplavskyi, from KNUKIM at Downing College, University of Cambridge and Cambridge University Library. We celebrated his new book, The Rector, and his vibrant personality, and no compromise attitude to life and academia! Professor, we look forward to welcoming you back soon! United Nations PRME accreditation now confirmed!! 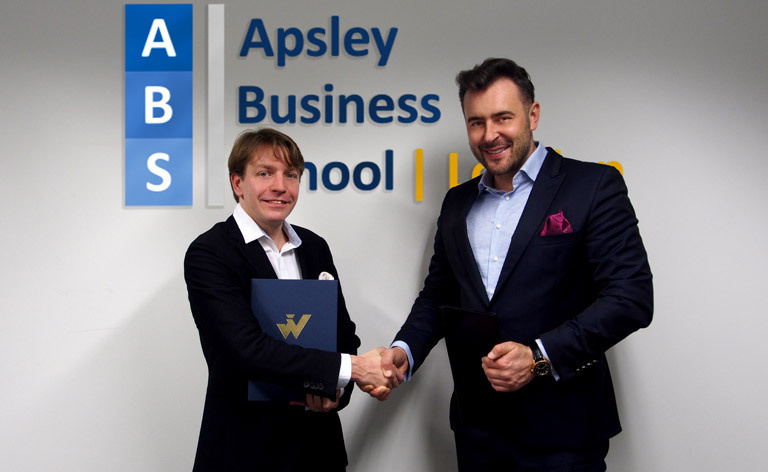 Apsley Graduates start 2016 in the best possible way! The annual 2016 Back to Business event, held at the Hotel Yasmin, Košice was a great success!